The Miloco 5-a-side football tournament is back for 2018! After resuscitating the infamous Miloco 5-a-side football tournament last year, we are coming back strong in 2018, bigger and better than ever! Registration are now open for what is sure to be the fiercest and most prestigious football tournament of the year for the UK music industry. 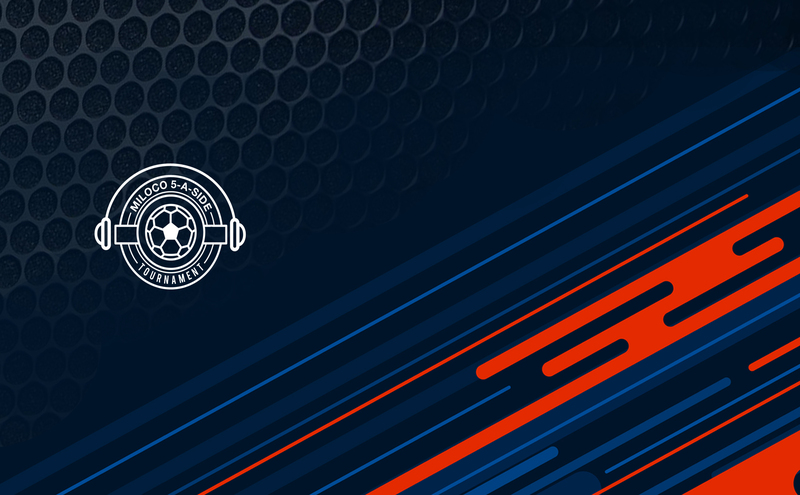 Taking place on the 19th of July, at Play Football White City in West London’s Shepherd’s Bush, this year’s competition has a lot to live up to if last year’s day is anything to go by. You can read the full match report here. Teams can sign up for £50, with all proceeds going to charity – we’ll be back with more news on that when it’s in. As per usual there will be food, drinks, music, great company. And of course, football. There will be the usual prizes for first, second and first, but really are those even important? We will be doling out awards for Best Team Name (the punnier the better), Best Team Kit and Best Goal Celebration. So there you have it, get recruiting, get practising, get brainstorming and we’ll see you in July! 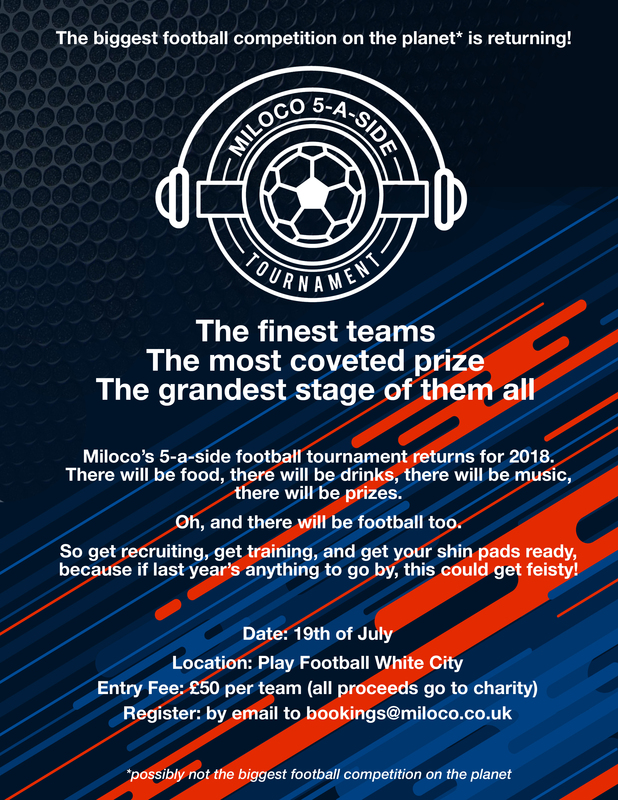 Miloco The Miloco 5-a-side football tournament is back for 2018!